As my little guy’s first birthday approached and my maternity leave wound to a close, I found myself busier than ever. And since I’m not really the type to go out and buy a party in a bag (although I’m sure it’s awfully convenient), I picked a theme that would let me decorate with things I already had around the house, and then get crafty with a few key items to help set the scene. 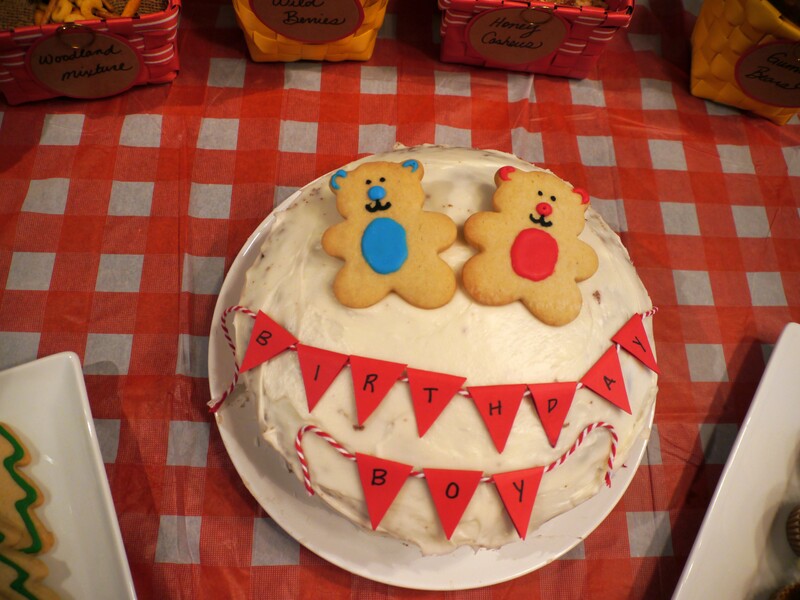 Here’s my version of a first birthday Teddy Bear Picnic (busy mommy style). My starting point for this project was Michael’s and I discovered Cake Mate Scribblers icing. This stuff is AMAZING! 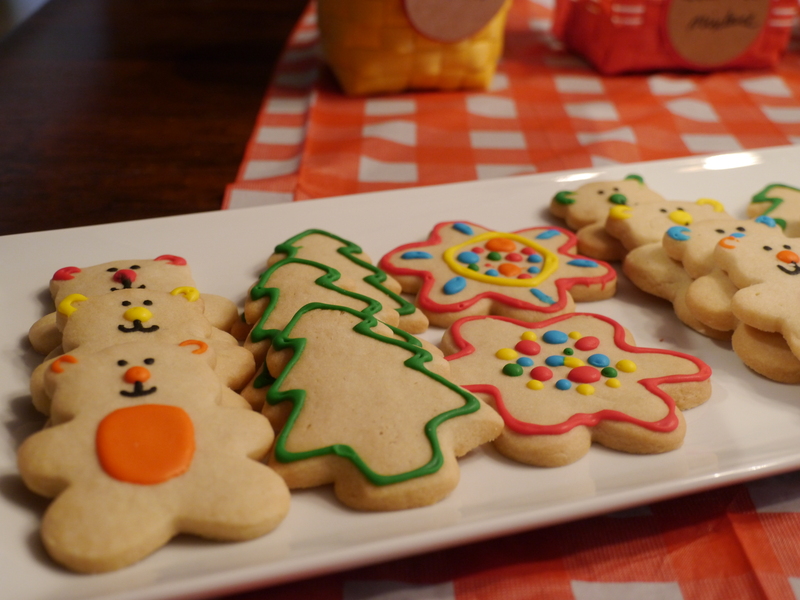 My three-year-old helped me make sugar cookies and we cut out teddy bears, trees and flowers. I then used the Scribblers to outline them in bright colours the night before the party. I have to admit, I had grander visions for the cake. But time and two kids got in the way so I decided to go for simple to maintain my sanity. My three-year old helped bake the cake (I swear by Duncan Hines Devil’s Food Cake) and then I just iced it with whipped vanilla icing. To create a teddy bear picnic theme, I used leftover red and white bakers twine and red card stock to create homemade miniature bunting. I simply folded a rectangle of paper over the twine, taped it together, and then cut the paper into a triangle. I used a black marker to spell out “Birthday Boy” on the flags. Finally, I topped the cake with two colourful teddy bear cookies. To placate the non-chocolate lovers in the crowd, I also picked up carrot cake cupcakes from a local bakery that were topped with carrots made out of icing. I found colourful red and yellow baskets at Dollarama that I filled with bear-friendly treats (woodland trail mix, forest berries, gummy bears, honey cashews and peanut butter M&M’s). I used my giant hole punch to create the tags (you can do this with scissors too) and attached them to the baskets with decorative paper clips. Burgers, salad and veggies with dip rounded out our informal meal. Being a bear lover, our house is filled with teddy bears of all sizes and shapes. These were collected and placed strategically around the dining room. There were bears in the chandelier, hanging from our sconce lights and on the staircase. The kids had a ball finding them all. We hung red and blue paper streamers, blew up a few balloons, and topped the table with a red and white gingham tablecloth left over from Canada Day. I hung a beautiful hot air balloon that usually decorates my son’s bedroom from the curtain rod, and forest animal wall stickers that I found at Michael’s lined the staircase, to the delight of the birthday boy. 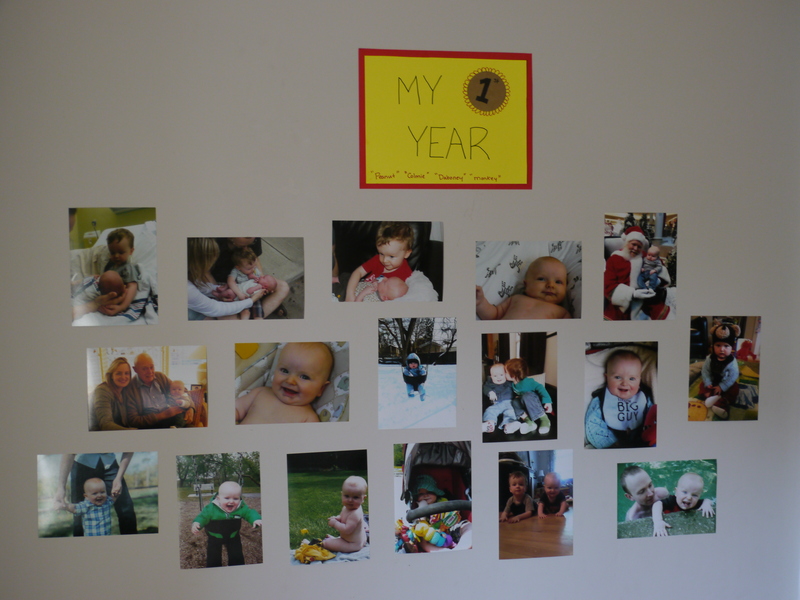 Finally, I created a “My First Year” Wall to show friends and family how much our little guy had changed throughout his first year. At the end of the day, not everything turned out according to my grand visions but the room looked cute and everyone had a great time. 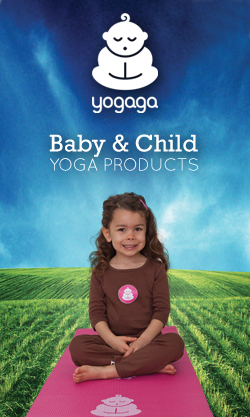 From: Kid's Birthday, Kids' Baking/Cooking, Kids' Stuff, Party Time! ← Thanksgiving Napkin Rings | Thanks for a 5-minute craft!